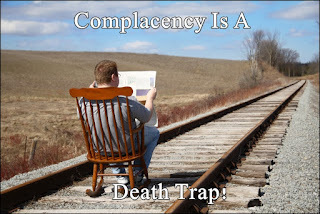 For me, that means you should never grow comfortable or complacent where you are. The world and life are constantly changing, so you should be ready and able to adapt when needed. Let me give you some back-story to when I was learning how to trade. This was probably in the first month or two of live trading (there had been lots of preparation and learning before this). Back then I was trading the Dow Jones on either the 5 minute timeframe or the 1 minute timeframe… I have no idea how I managed to trade the Dow on the 1 minute timeframe! So anyway, I thought I had developed a couple of good strategies. One was basically plotting a support line and a resistance line on the 5 minute timeframe and trading in between them. The other used Stochastics for locating reversal areas. 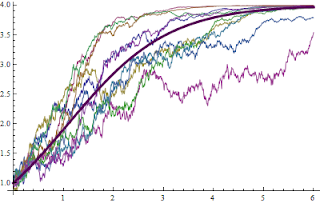 Back then I was certain that to be a master trader you needed to either 1) use fancy indicators (so your chart looked something like the image below), or 2) have a secret system that only you knew about. The stochastic system worked best and I believe I had three days of profit with that one… and then we hit a major trending day and all hell broke loose. Needless to say, I lost all of my previous gains… and then some! The support and resistance trading was similarly flawed. I was trying to trade within 10 – 15 point areas on the Dow Jones and wondering why I would go through stages of losing lots of trades! It didn’t make sense. Didn't the market understand that support and resistance areas were to be respected? Did the market not understand that I had found the top secret method for success in trading?! The point of these examples is to show how easily it is to fall into the trap of believing you ‘get it’. At the time, I thought I knew all there was to know about trading. I had read perhaps twenty trading books, watched all of the content online I could find and had been studying charts, learning how to identify candlesticks, and support and resistance. In my mind I knew what I was doing. And there is the dangerous phrase! Now, it doesn’t matter that I was a beginner back then. The same holds true for traders or people of any industry, no matter how long they have been at it. Just look at some of the largest banks in the world. Those places are filled with what are supposed to be the best minds in the industry and people who ‘know what they’re doing.’ And yet look at the trouble they ended up in because they took on too much risk and quite frankly, DIDN'T know what they were doing. Or take hedge funds managed by top traders, the best in the business – how many of those have failed spectacularly? No one ever ‘knows it all’, or is good enough to rest on their laurels and go into auto-pilot mode. For that reason, you should always be trying to improve, pinpointing your weaknesses so you can correct them, and challenging yourself. So how do you do this in the trading field? Simply set yourself daily goals. Not monetary goals – I will make 2% today. Or I will have 3 winning trades today. Those are the wrong kinds of goals. Think of things that address your weaknesses. - Today I will not enter any trades that do not fit my trading plan. - Today I will make sure I do not increase risk to try and make back earlier losses. - Today I will focus on my inner talk and work on quieting the negativity whilst I am in trades. - Today I will not exit trades that move against me until I am certain the decision is logical and not emotional. The list is literally endless. And each day, if you reached your goal the previous day, change your goal. 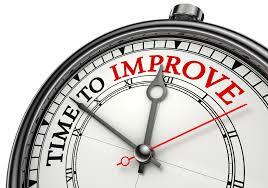 As you work through the countless variations and possibilities, you will begin to improve. This is because you are making a conscious effort to address every aspect of your trading, as well as identifying things that are troubling you. The more you think about identifying areas where you could improve, the more you become adept at identifying them. And you can revisit goals over and over again. Maybe you have a great week of only taking trades that fit your trading plan but then suddenly you have a bad day. The next trading day your goal can once again be ‘Today I will not enter any trades that do not fit my trading plan.’ Because no one is ever perfect, at anything. But the best are always trying to improve. I write each goal down on post-it notes that I keep by my computer. Today’s goal was to look at Tick charts and see if they can offer me any advanced signals for entry. The thinking of the goal... which leads to the writing of the goal... which leads to the focus on the goal for the day... which leads to definite actions to achieve the goal… I’m sure you can see where the benefits comes in! 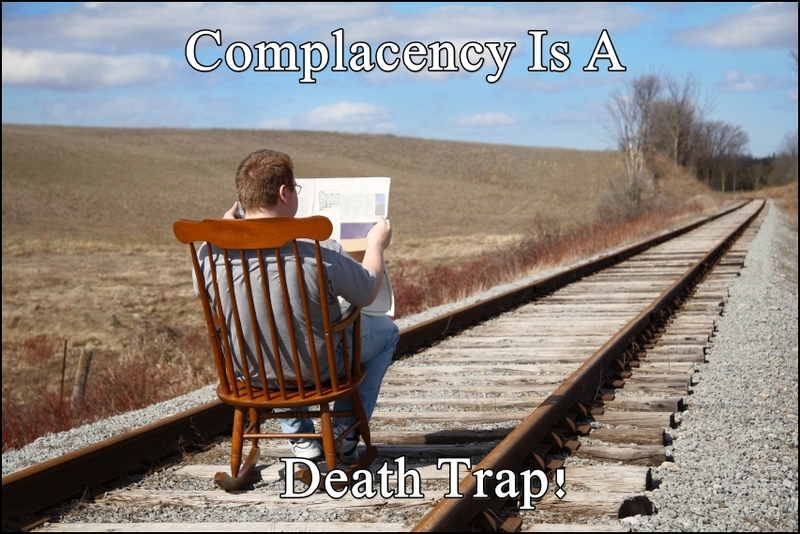 And best of all, if you’re thinking of new goals every day, there is no risk of you ever becoming complacent.